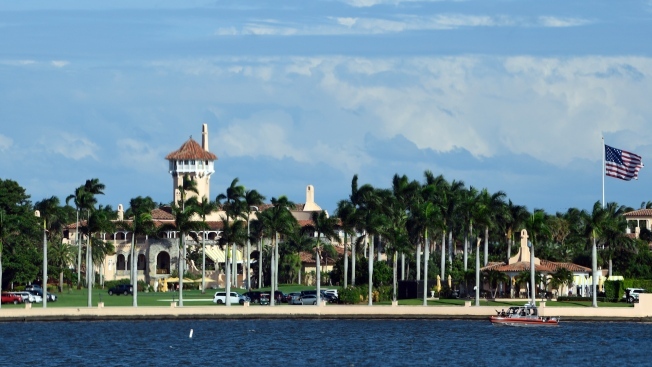 A 32-year-old woman with two Chinese passports has been charged by the Secret Service for making false statements and entering restricted ground after she illegally gained access to President Donald Trump’s Mar-a-Lago club in Florida. A woman carrying two Chinese passports and a device containing computer malware lied to Secret Service agents and briefly gained admission to President Donald Trump's Mar-a-Lago club over the weekend during his Florida visit, federal prosecutors allege in court documents. Yujing Zhang, 32, approached a Secret Service agent at a checkpoint outside the Palm Beach club early Saturday afternoon and said she was a member who wanted to use the pool, court documents said. She showed the passports as identification. Agents say she wasn't on the membership list, but a club manager thought Zhang was the daughter of a member. Agents say that when they asked Zhang if the member was her father, she did not answer definitively but they thought it might be a language barrier and admitted her. Zhang's story changed when she got inside, agents say, telling a front desk receptionist she was there to attend the United Nations Chinese American Association event scheduled for that evening. No such event was scheduled and agents were summoned. There, he said, it became clear Zhang speaks and reads English well. He said Zhang said she had traveled from Shanghai to attend the nonexistent Mar-a-Lago event on the invitation of an acquaintance named "Charles," whom she only knew through a Chinese social media app. Ivanovich said she then denied telling the checkpoint agents she was a member wanting to swim. "While the Secret Service does not determine who is permitted to enter the club, our agents and officers conduct physical screenings to ensure no prohibited items are allowed onto the property," a U.S. Secret Service spokesperson said in a statement. "This access does not afford an individual proximity to the President or other Secret Service protectees. In such instances, additional screening and security measures are employed." Zhang is charged with making false statements to federal agents and illegally entering a restricted area. She remains in custody pending a hearing next week. Her public defender, Robert Adler, declined comment. There is no indication Zhang was ever near the president. There is also no indication that she is connected to Li Yang, a Chinese native, Republican donor and former Florida massage parlor owner. Yang recently made news after it was learned she was promising Chinese business leaders that her consulting firm could get them access to Mar-a-Lago, where they could mingle with the president.